Models with tribal like warpaint emerged from a kubrik-esque white triangle to the Belle Star's iko iko. The initial looks were knee length coats, layered crop tops and generously draped scarves all made from what looked like flokati. These heavy shaggy textured outer layers were contrasted with thin mesh, sharply tailored white shirts, and fine merino knits. 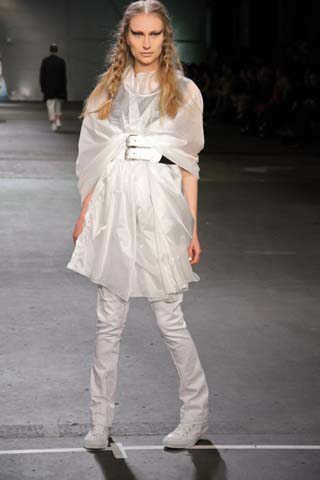 As you would expect with any Zambesi show, layering was key. Mesh shirts were layered over top fringed singlets and dresses. Camel coating and dark suiting over pvc accented shirts and jackets. The knitwear was a highlight, with various stripey v necks and sweaters, as well as geometrical hexagonal panels which featured on full length dresses and tops and layered over knickerbockers. 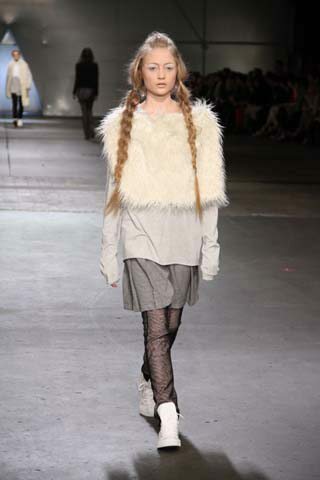 Click here for the full Zambesi runway gallery. 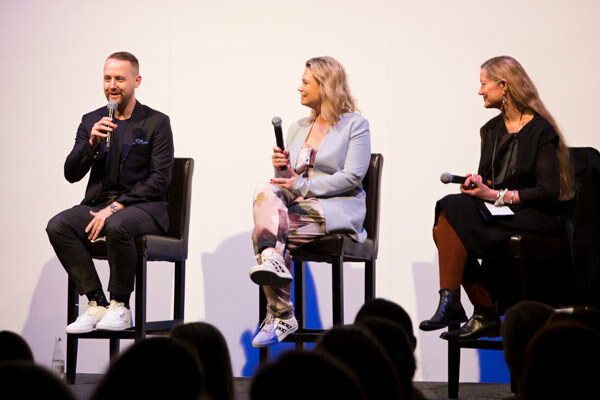 We were taken through the full spectrum of Zambesi's signature sombre colour pallette, with a few interesting twists and turns. They featured what looked like a beautifully regal metallic paisley in peacock tones, and a stiff black broderie anglaise through to a feather light, transluscent white raincoating. From crisp whites and creams through the spectrum and back to grey flokati for the big finish. 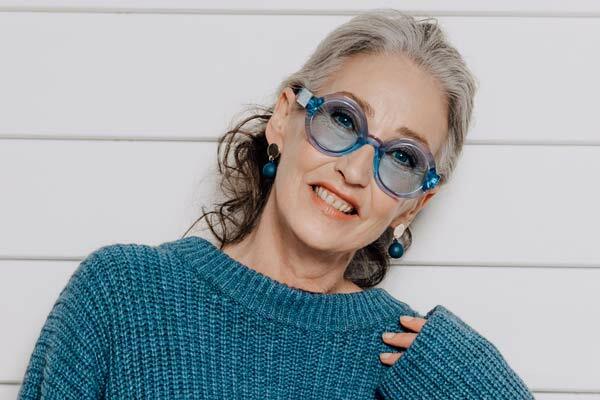 Zambesi's collection was huge, but just goes to show that these veterans of New Zealand fashion can take us on a lengthy journey of possibilites and we will go where ever they lead. The huge appreciation that the New Zealand have for this iconic brand is evident in the adulation and applause that Neville and Liz Findlay received as they took their final bow. 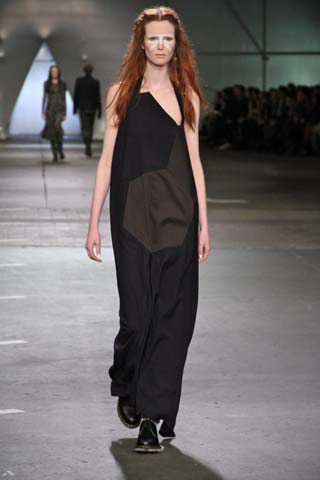 A fresh an exciting collection from Zambesi that stays true to alll of things that we love them for.